Prostate cancer: alpha radiation drug trial is so successful researchers decide to stop it early. A new prostate cancer treatment (a powerful alpha radiation drug) trial has been so successful researchers have decided to stop it early. Specialists at London’s Royal Marsden Hospital, UK, were testing a powerful alpha radiation drug on 461 patients while another group of the same number was being treated with placebo. The group taking the new drug experienced less pain, side effects and lived longer. British doctors were so astounded with the results they decided to stop the trial and started treating all 922 patients taking part in the study because they said it would be unethical not to. Radiation has long been used to treat tumors and damages the genetic code inside cancer cells. Alpha particles are the most powerful radiation and consist of helium nuclei, which are bigger and strong than beta radiation – a stream of electrons. According to Dr. Chris Parker, who is the lead researcher on the study, it was a significant step forward for cancer research. “It’s more damaging. It takes one, two three hits to kill a cancer cell compared with thousands of hits for beta particles,” Dr. Chris Parker told the BBC. Dr. Chris Parker also said that less damage was done to surrounding cells and added the radiation only targeted only the cancer. 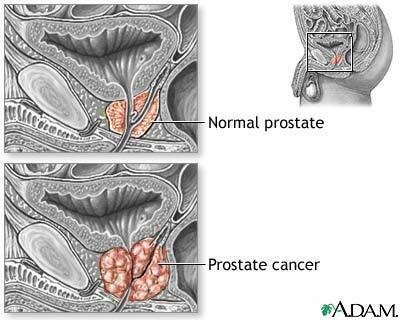 Many patients with advanced prostate cancer will have little chance of survival because the tumor usually spreads to the bone. The study originally looked at patients with these secondary cancers and used the radium-223 chloride drug, which acts like calcium and sticks to the bone. 461 patients were given the new drug and the other 461 were treated with chemotherapy and placebo (a dummy pill which had no effect). The death rate was 30% lower in the group taking radium-223 and patients survived for 14 months on average compared with the other group which survived 11 months on average. Dr. Chris Parker said the decision was then made to abandon the trial and treat everyone taking part because “it would have been unethical not to offer the active treatment to those taking placebo”. British researchers said the new treatment was safe and added that those taking it suffered less side-effects than those taking placebo. According to Cancer Research UK, the research is promising and could be an important addition to treating prostate cancer patients with secondary tumors. Tony Blair and Ofra Strauss intriguing friendship. Sarah Palin is offered $1 million if she passes lie detector test.